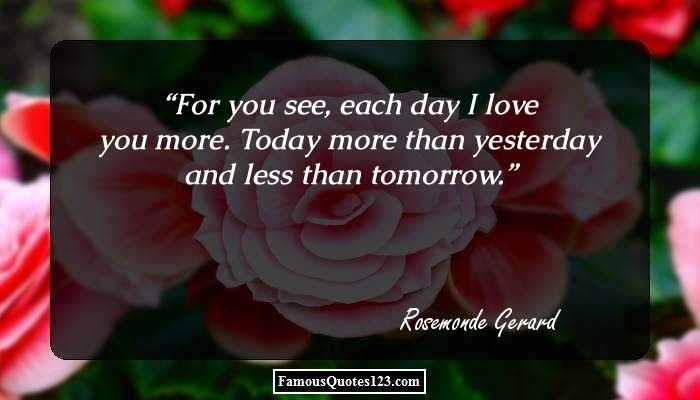 Learn how to say "I love you" with the lovely quotes given here. 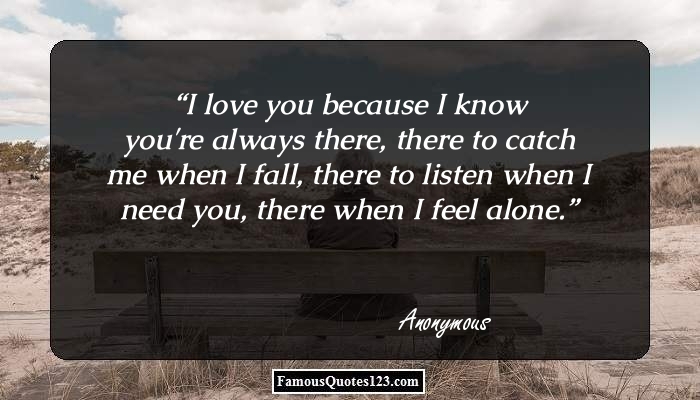 Read on and explore cute 'I love you' sayings & quotations. 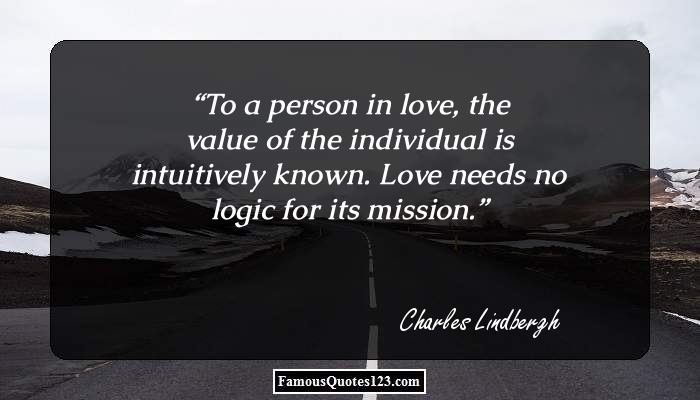 When you are in love with someone, it is very necessary to convey your feelings to that person. 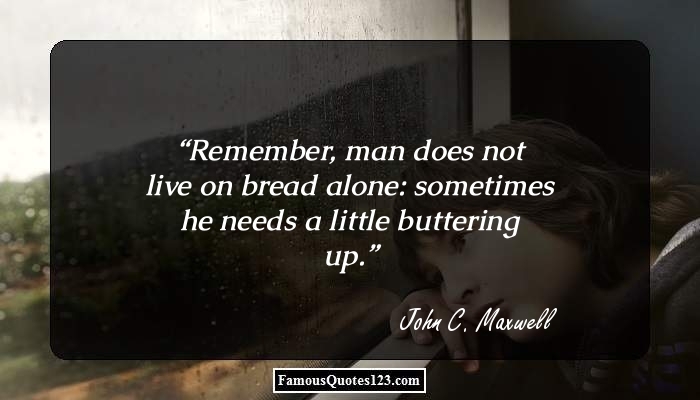 Otherwise, you might end up losing your love. Nothing can be more hurtful than losing your love because the other person never knew about your love for him/her. If you are also in love, then wait no more and say those eternal words "I love you" to that 'someone special'. 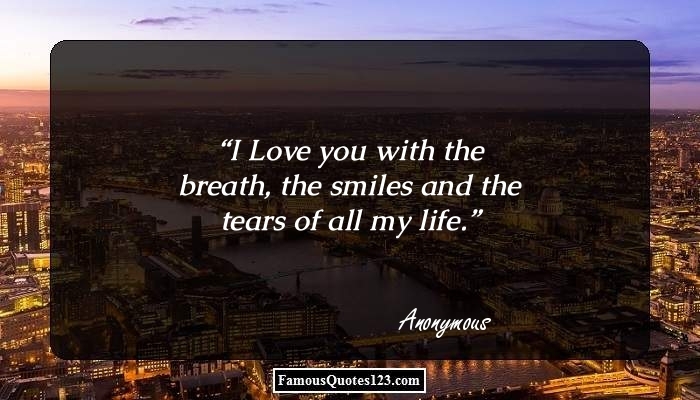 Our "I love you" quotes collection can also come handy if you want to express your love in a more elegant and expressive way. 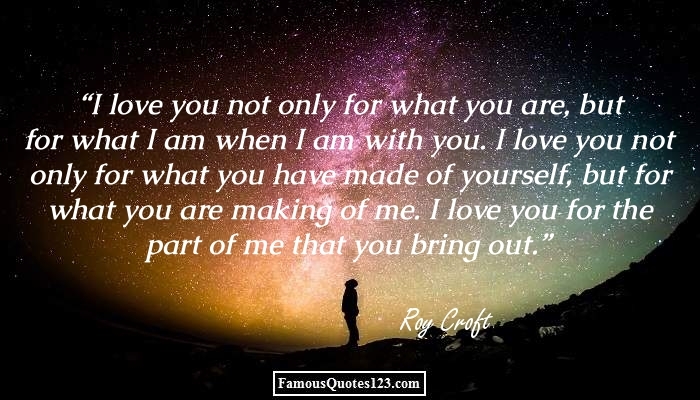 Read the love you quotations and sayings provided in the lines below and add the much-needed zing in your love. 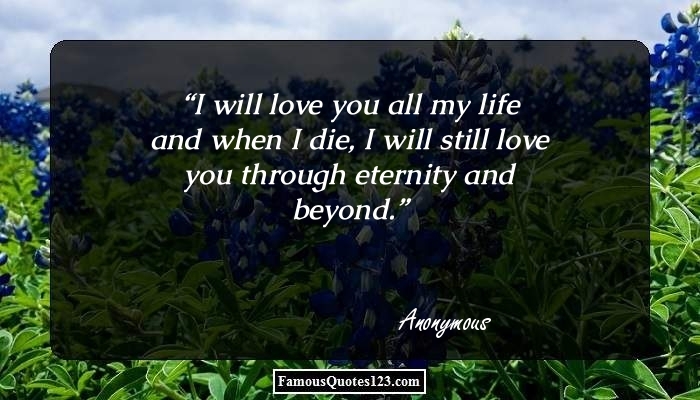 I will love you all my life and when I die, I will still love you through eternity and beyond. You could put all the hearts together in the world and that still wouldn't describe how much I love you. I will walk beside you, I will push you forward from behind and I will run ahead and encourage you forward - all because I love you. Don't go trying some new fashion Don't change the color of your hair. . . . I could not love you any better I love you just the way you are. Every moment spent with you is like a beautiful dream come true... I Love You! Promise to love me, not forever Because forever is too short! But promise to love me each And every day of our lives! Candle light, moon light, star light. The brightest glow is from love light. We're here because we love him. We're here because we hurt and that's OK.
[In tribute to his grandmother] She still talks to me now, only now she talks to me in my dreams. And I can't wait to go to sleep tonight because we have a lot to talk about. I love you.